Orson Pratt introduced the verse numbering system in the 1879 edition. The verse assignments haven’t changed since then, by the way. The text was taken from the corrected 1852 edition. The text from this edition was used from 1888 through 1907. 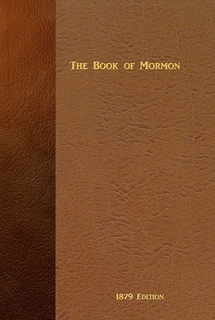 The 1879/1911 LDS editions of the Book of Mormon contain many geographical references which were removed from subsequent editions.